crafters and cooks! 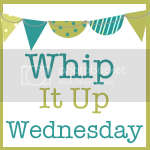 come show off at whip it up wednesday! You aren’t going to believe what I am going to tell you…I woke to snow this morning. I know, you think it’s crazy too! Thankfully, it wasn’t enough to shovel, but still. Hello – yesterday was Tax Day…it shouldn’t snow after the final day to file taxes! Please do keep in mind that a handmade project is either homemade or made by hand – not something you’ve purchased. It includes recipes, paper crafts, sewing projects, decorating ideas, photography, furniture transformations and much, much more! This handmade linky party will be open until Monday at 2pm EST. I’d love it if you’d grab the button and include it, and a link back, in your post or on display it on your blog. Not required, but very much appreciated. While I would love for you to join in the fun, please do not link up giveaways or links to your shops. Thank you! 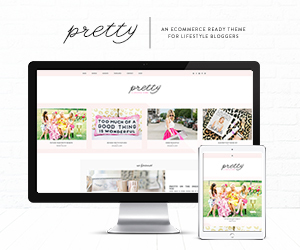 Disclosure: By participating in this linky party, you are granting permission for me to “pin” a photo of your project to my Whip It Up Wednesday board on Pinterest. Pin will link back to your site. Hi Emily, Thanks for the party 🙂 Have a great day!